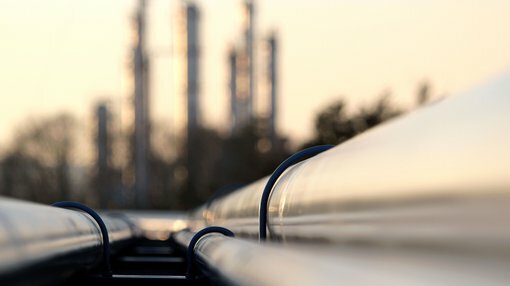 So far in this series of oil investment do’s and don’ts, Finfeed.com has analysed the price, market risk and how to read the potential investment signs as well as what to look for in a prospective oil and gas company. This week, we cover who’s running the show and how the company is making money. How does it make its money, and who’s involved in the company? Before deciding to invest in any company, resource sector or otherwise, you have to first consider the finances of the company and the talent at the company. Quite often a smaller oil and gas company will have a particular exploration program in mind, and the good ones will have this fully costed and laid out for shareholders before it embarks on the exploration program. While there are cost overruns and some things can’t be avoided, you should have an idea of how much money the company hopes to spend in the next six months or a year. This figure can come from previous disclosures to the market, interviews with press, or other announcements. Here, the internet is your friend. With that figure in mind, it’s time to go balance sheet hunting. The first thing you want to look at is the amount of cash a company has in its books, and this is usually found in the periodic disclosures the company makes to the market, usually in the form of a quarterly cash flow. You’ll also be able to find out how much cash it has on hand, which is important when weighing up whether or not it will have to head to the market for more money. If a company is not producing any oil or gas and selling it to a customer, you have to consider how it will raise money for its activities. Selling assets – A company may have a few assets on the books in terms of exploration permits or other assets other companies may be looking to buy. It may consider selling this asset if it is non-core to its business, and if the sale of the asset can fund further activities. Farm-out – This is a common option for oil and gas companies. If a company has a high percentage ownership of a particular permit and regulatory approvals for exploration or production activities, it may seek to ‘farm out’ a percentage of the permit in exchange for money. For example, let’s say a company has 100% of a particular permit it is hoping to drill three exploration wells on, but it doesn’t have the money to do so. It may go to another company and seek a deal whereby the interested party takes a 50% stake in any future production on the permit in exchange for funding the three exploration wells. The original company is ‘free carried’ on the exploration wells – that is, it doesn’t have to pay a cent on the three wells. The farm-in company gets a 50% stake in the permit in exchange for the initial layout, an arrangement which can see it get more access to reserves for a knock-down price. Raise debt – If a company is determined to keep a high percentage of its assets, it may head to institutional lenders to arrange a loan. It’s much the same arrangement as you heading to a bank to get a home loan, except these institutions specialise in lending to companies rather than individuals. This can be a one-time loan or what’s known as a ‘revolving facility’, whereby the company has an ongoing amount it can borrow against. Taking out a loan can sort out short-term funding needs, but of course it means that it will have to pay back the debt. Share issues, placements, and options – A company will often leverage either its existing shareholders or try to get new institutional investors on board. This can be done in a number of ways: a share placement will go to new or existing investors, and will involve the sale of a number of shares not yet being traded on the market. For example, the company may go to a sophisticated investor with an offer to buy three million shares at 10c each, a discount from the company’s share price of 12c. The discount is given so that the investor will be interested in buying in bulk. However, too much of a discount on the trading price risks diluting the value of shares overall, as does any share placement. Sometimes a company will raise cash by issuing options for a certain price. This works like a share placement, but the date of settlement is usually put forward. It is an option to buy at a later date at an agreed price. For example, a small company which is currently listing at 5c may issue options to a buyer to buy a certain amount of shares, let’s say two million. However, the options will vest in two years’ time at 7c. If the share price is well and truly above that mark in two years’ time, then the option buyer has made a good bet. But again, this risks diluting the value of the shares held by existing shareholders. So it’s important to see what sort of track record the company has in raising money to see how each variety of cash raising may or may not affect your own potential holding. It may be a simplistic analogy, but would you go to a doctor who wasn’t qualified? While there are certain basic requirements in place in order to become a director or CEO of an ASX-listed company (although sometimes it may not seem like it), experience matters. Take a look at the history of each individual director at the company and have a look at where they’ve come from. If you’re investing in an oil and gas company, you want to see previous experience at oil and gas companies – ideally, successful ones. However, that being said, experience from outside the oil and gas industry may provide the company invaluable insights to make the best decisions on behalf of the shareholders. For instance, while it may seem useful to have a board stacked with geologists (as they know how to find oil and gas), it’s usually a good idea to have at least one or two ‘finance people’ on the board. They have the contacts and the nous to be able to raise money for the company without diluting the shareholders too much, and quite often have the financial expertise to ensure that shareholders are getting maximum value for their dollars. Alternatively, a board stacked with finance people may risk investing in bad assets. After all, not too many suits know how to find oil in far-flung reaches of the world or have the engineering expertise to be able to make the right decisions in what is a highly-technical field. Also take a look at the previous board experience of the key people at the organisation. Are they coming from highly successful companies such as Royal Dutch Shell or are have they come with less-than-stellar track records? We know which people we’d prefer working hard to create shareholder value. Also take a look at the company’s previous on-market disclosures on how the people at the company are being paid. Number one – It allows you to see if the directors are being paid way too much for their services. Take a look at similar companies and see how directors at those companies are being paid. If they’re being paid significantly higher than their counterparts, then the alarm bells should be ringing. Number two – It allows you to take a look at the structure of their pay packet, which is very important. A director’s salary can be split into several parts. These can include a base salary, short-term incentives, and long term incentives. A base salary is basically what you would make for turning up to the office each day and doing your work. Short term incentives are usually in the form of options of share placement to that particular director. For example, if the company increases its share price by 15% in the next six months the director will receive an option to buy company stock at below market price. A long term incentive works much like a short-term incentive, but on a longer time frame. This can be any sort of goal agreed upon by shareholders in return for shares or options. We at The Next Oil Rush love to see long term incentives in the form of options for vesting at a future date. It demonstrates that director has ‘skin in the game’, and wants to see the company hit its long-term goals as they have a very real and direct interest in being able to do so. However, if you’re in an oil or gas stock for a short term share price spike you this may not be relevant to you. Next week, we look at how hard the resource may be to develop.